Let’s imagine you’ve finally witnessed your favorite sofa delivered at your doorsteps. You’ve just sliced open the box and taken out fluffy cushions and pillows. Even the touch looked cozy and comfortable! 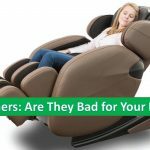 Your effort for digging up the best sofa in town was finally paying off (If you haven’t found one yet, we recommend you to read Comfy Sofa Studio’s top Sofa Reviews). So while being proud of the purchase, you realized the guests were coming over! But wait- you forgot one thing to Google! Wait-don’t panic. To answer your query to the point, we’ve written this article. We’re sure your search won’t waste your typing efforts and of course, internet’s bandwidth! How to Arrange Pillows on a Couch? Tip 2: Nothing but another Layer of Cushions! Tip 3: Miss-Match is the new cool! Yeah, I know it. We all know about it. 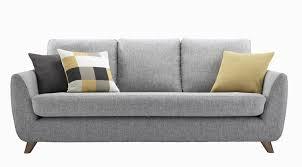 A sofa without pillows is as boring as non-spicy, flat-flavored stew brewing up in the hot pot. Even Wikipedia says pillows are not just for comfort, but for decoration too. You need to add little spice and texture before letting your guests judge it. That’s why most of us prefer to have stylish and complementary pillows on our couch. But buying a nice pillow won’t solve the problem. You need to arrange it in the best possible manner. But, arranging these pillows is definitely a headache. You don’t have to worry about this anymore. We have the task sorted out. 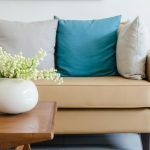 Below are some of the tips on how to properly arrange and decorate pillows on your sofa. Following are some of the major tips on how to decorate with pillows. Our guide will walk you through all the steps for transforming your sofa in real beauty! Let us go into the world of glittery lands! That’s the motto you need to apply in your everyday life. Yes, even when it comes to styling your couch. The first thing you need to do is to create a strong base. Place two larger cushions on the two extremes of your couch. The size of the pillows may be around 20-22 inch. But this is just a general guideline. I will tell you that you should pick pillows based on the dimension of your couches. 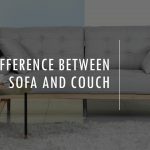 You can either measure your couch or if you’re lazy enough, you can read our guide on average couch dimensions here. What comes next is the pattern and color! If you’re still swiping down the online store, listen carefully to our advice. 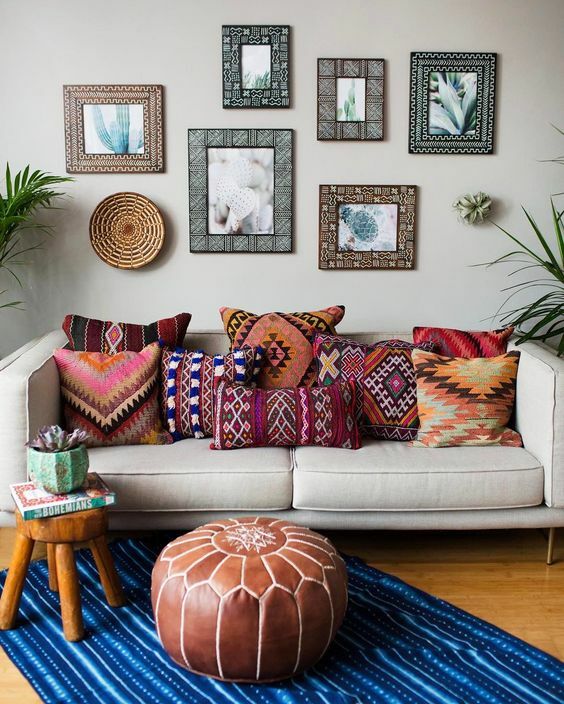 Limit down the patterned-pillows to only one pair and order solid color for another. See the stack of your cushions, which one is darker? Place the solid dark cushions at the edges and the patterned ones inside. The pillows resting at the edge must be the same. “Never be scared of another layer”. Make sure after adding base, you do add another layer of cushions. Now this one could be done by introducing two same patterned cushions inside. You can also choose different patterns but they must have the same feel. You can also go with the Moroccan pattern having a lighter base. It wouldn’t be wrong to place the same sized cushions too as another layer. Make sure they accentuate the look instead of depicting an act of camouflage. One thing to always reverberate is not to buy the cushions with the same color! That’s the first answer to ‘how to mix and match pillows on a sofa’. Yes, it may sound crazy, but who doesn’t love little craziness in somber lives? Let’s suppose your couch is orange. What color of the cushions must come to your mind? Light orange or some different shades of orange? Of course not. Choose turquoise or dark sea-green as the solid color for the ends. Now hunt down the different patterned pillows to keep in the middle. A pair of cushions with a white base and different blot-like patterns will be even more delightful! Now it’s time for our little guy! If you’re going for 3 layered arrangement policy, don’t ignore this being! For this cushion, look for something smaller. Rest of the part is played by hunting something different and cute. Again, look at the stack of cushions you want to buy or have already purchased. Is there something that stands out? If yes, that is the one. This odd-one-out strange creature can be strange in shape as well. Even the cover can be different, like sequins or cute bright velvet. One thing to ask yourself is, “Are you arranging cushions on both sides”? If not, they should be placed in descending order. The means, this odd cushion should be sandwiched between the other two if it’s larger. However, if it’s uniquely shaped, place it in the 3rd position. Tip 5: Odd is Gold! People often wonder about placing how many throw pillows on a sofa. Our answer would be, go for the odd numbers! Odd-number pillow arrangements look professional and not too overcrowded. In the modern day, odd-styling is preferred as it gives a deep posh look. It’s advised to go for 3 or perhaps 5 pillows arrangements on a couch. 3 pillows also look great but preferably be placed at only one side. Justice is dependent on the number and size of cushions. You have one large cushion but two same-sized smaller cushions. What must you do? Our advice would be, place the bigger one at one end and the smaller ones together at the other. This is the best arrangement for such oddly sized cushions’ delivery. 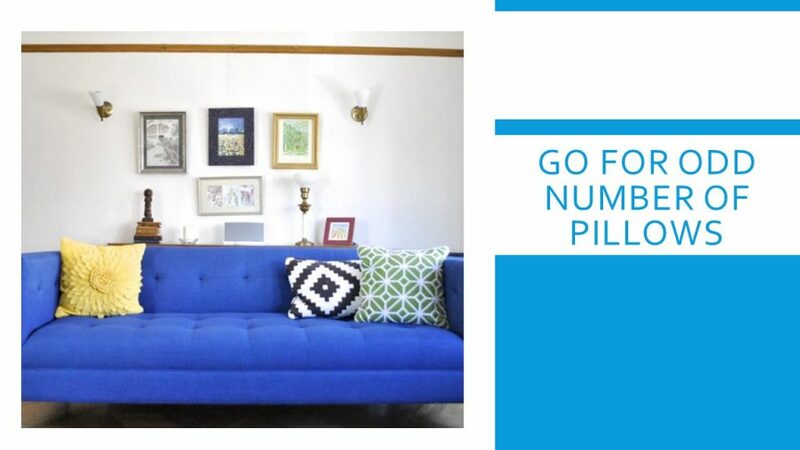 The above tips would have given you some insights on how to arrange pillows on your couches. 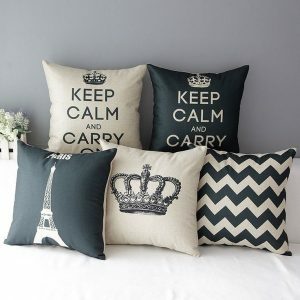 Depending upon your lifestyle, the pillow decorations and arrangments varies. Check out the Latest Price of Modern and Face Pillows from Amazon. Are you’re a college student or someone who loves living a brisk-risky life? Or perhaps, you imagine transforming your living room in the bold-independent style. Think it over your perfectly blended coffee, this style is definitely for you! For this one, you have to go a little crazy! Introduce classy, bold and uber-smart patterned cushions for your sofa. You can also opt for face pictures, polka dots, and zebra-lined patterns. This one demands simplicity. You cushions are preferred to have the same color. The difference may lie in their shade and fabric. Whatever the color of your sofa is, choose the opposite hue. 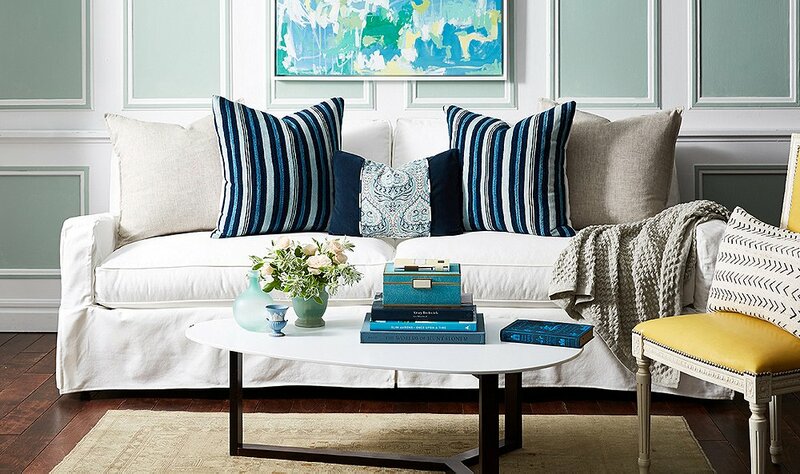 If your sofa is plain white, choose decent shades of blue for cushions. Yellow and black also go well with white couches. The cuteness of the sofa is always enhanced with fluffy or furry cushions! Make sure you’re favoring bright colors like pink, white, light blue or perhaps yellow. If you have a blue couch, place white, pink and yellow patterned cushion. Try taking the white one as furry while pink as floral and yellow as Zic Zac patterned. This color choice will guarantee the cute and stylish look. Sofa without pillows looks empty. However, throwing some pillows on it without showcasing creativity is pretty useless in itself. That’s because pillows are there for enhancement and not degrading the look. 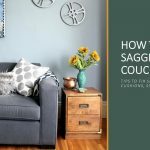 Moreover, this is one of the easiest ways to make your couch more comfortable. We hope our guide provides creativity plans for home décor with pillows. That involves questions ranging from how many pillows on a couch to how to arrange pillows on a couch! We’re positive our answers won’t leave you hanging amidst tiresome sofa shopping.